The team at adidas Originals has no issues keeping things fresh. Between dropping new silhouettes almost monthly, the NMD_R1 has continued to drop in exciting colorways. Check out the new “Japan” iteration, hitting shelves soon. The adidas NMD_R1 is circling back for the third round of some fan-favorite colorways. Originally released in 2017, the NMD “Japan” pack was meant to commemorate one of the Three Stripes’ five main cultural centers. Since then, the “Japan” series has expanded to include multiple generations of NMD silhouettes, as well as a variety of colors and patterns. Now, early in 2019, we know that adidas is reviving the original look with a clean new twist. 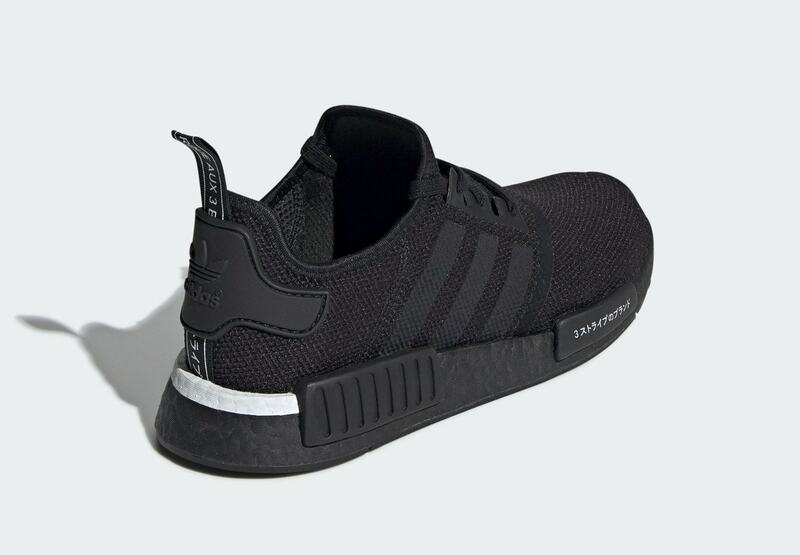 The new NMD_R1 “Japan” is remarkably similar to the original, featuring a mesh upper and midsole entirely dipped in black. 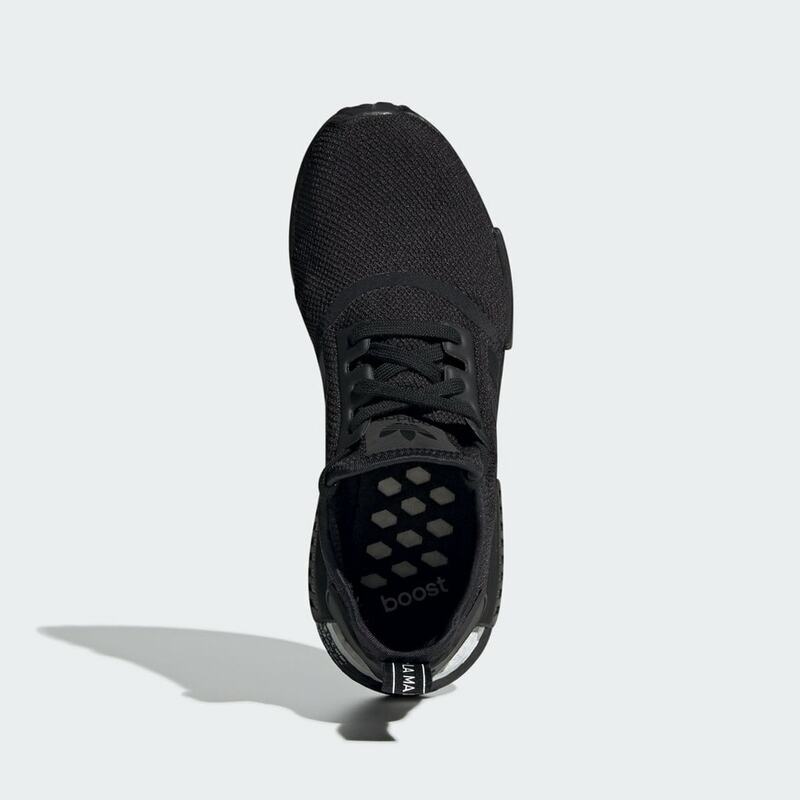 The foremost EVA plug under the toes features Japanese script on the outer side, while the heel of the Boost midsole is painted with a single white stripe to complete the look. Given adidas’ penchant for releasing this “Japan” series in matching white and black colorways, there is likely to be an identical white pair releasing at the same time, though this remains to be seen. 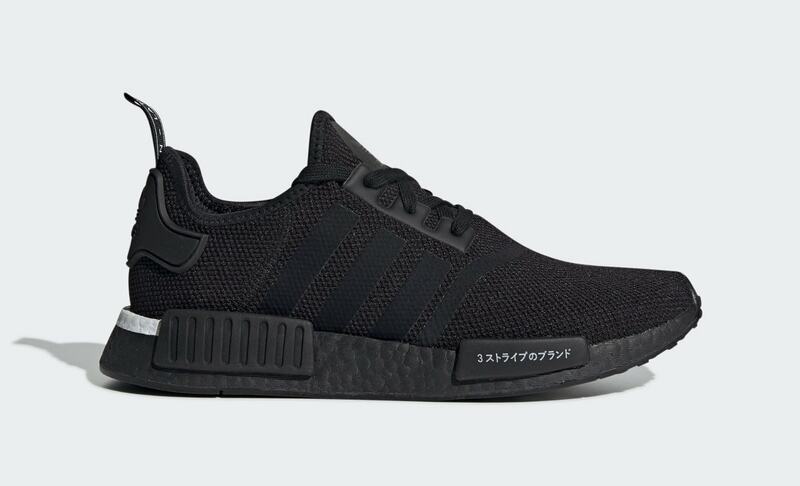 The next set of adidas NMD_R1 “Japan” colorways are scheduled to hit shelves soon, though no official date has been announced yet. As usual, these NMDs will retail for $130, launching from both adidas and select retailers. 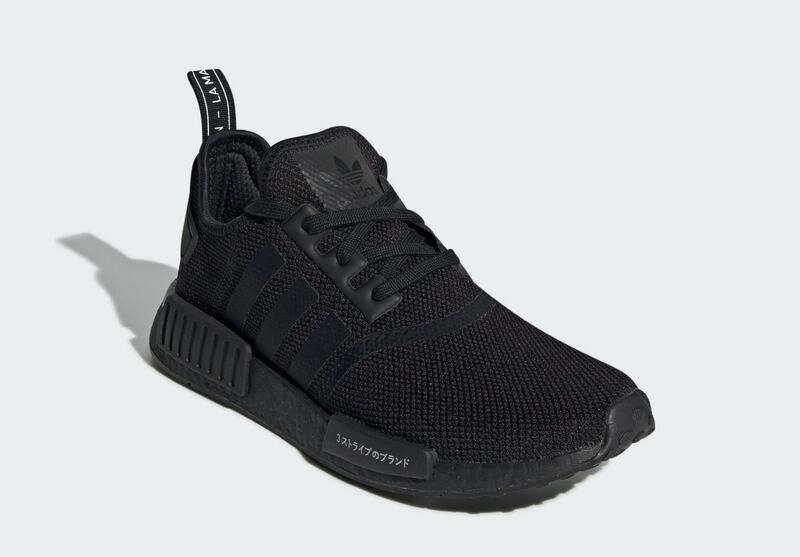 Check out the official images below for a better look, and stay tuned to JustFreshKicks for more exciting new NMD news.